This article has first appeared in Norwegian newspaper Verdens Gang. What is now known as the "Ukraine crisis” in the international media is hardly a properly Ukrainian phenomenon. The first uses of this phrase go back to the pro-European protests that started in November 2013 and ended with a revolution that ousted former president Viktor Yanukovych in February 2014. Yet even if the initial pro-European protests could be considered an internal Ukrainian development, their trigger lay beyond the country’s borders. It was Russian foreign policy that has always been directed at preventing Ukraine from leaving Russia’s sphere of influence. Since the annexation of Crimea in March, “the Ukraine crisis” seems an increasingly misleading concept. Especially because the plans to annex Crimea and support separatists in Eastern Ukraine were designed by the Russian authorities several years ago and have little to do with the defence of ethnic Russians allegedly threatened by the new Ukrainian authorities. We heard this story before, 75 years ago, when the Soviet Union invaded Poland under the pretext of protecting ethnic Ukrainians and Belarusians from the advancing army of the Third Reich. It was only in 1989 when the Soviet authorities admitted the existence of the secret protocol of the Nazi-Soviet Pact that was signed on the 23rd of August, 1939, and implied the division of Poland, Romania, the Baltic States and Finland into Nazi and Soviet “spheres of influence”. 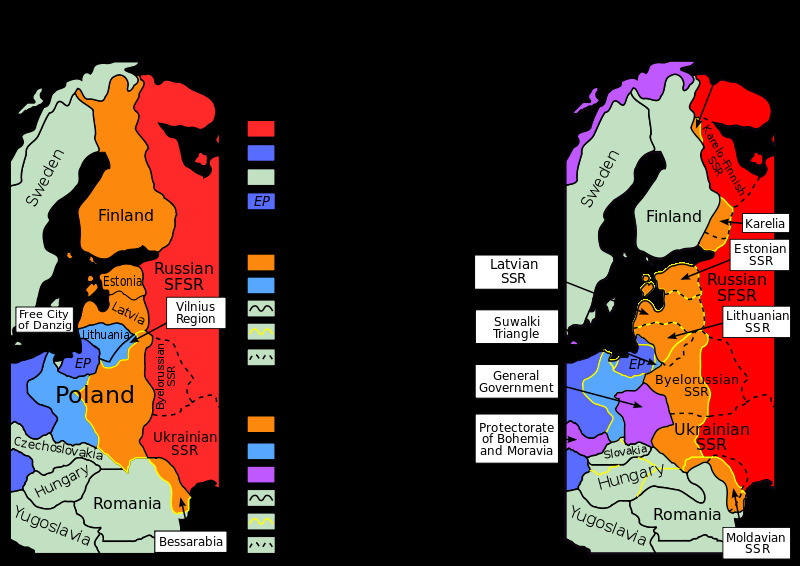 It was Soviet expansionism initially supported by the Third Reich, rather than a concern about ethnic Ukrainians and Belarusians, that was the first and only reason of the Soviet invasion of Poland. Russian university textbooks on geopolitics published since the late 1990s routinely questioned the territorial integrity of Ukraine and, especially, the status of the Autonomous Republic of Crimea. Since the 1990s, Russian top officials regularly visited Crimea and spoke about the republic’s integration with Russia in future. In 2008, then Mayor of Moscow Yuriy Luzhkov was denied entry in Ukraine for his earlier speech about the “return” of Sevastopol, the major port in Crimea, to Russia. Most importantly for him was to prevent former Soviet countries from joining NATO. Despite the fear of NATO that Putin and his colleagues from security services (or siloviki) inherited from the Soviet times, the expansion of NATO in the 1990s and 2000s posed a very different threat to what was claimed by the Kremlin. It had nothing to do with Moscow’s official line that NATO expansion near Russian borders was a danger to Russia’s national security. Rather, the organization’s system of collective defence secured member states’ sovereignty and territorial integrity, and this made it impossible or, at least, very dangerous for Russia to pursue its expansionist agenda. Russian expansionism has always been veiled by the rhetoric of concern about “Russian compatriots” in neighbouring countries. A year after the Ukrainian “Orange revolution” in 2004, Putin lamented about “tens of millions of our co-citizens and compatriots” who had “found themselves outside Russian territory”, and claimed that “the collapse of the Soviet Union had been a major geopolitical disaster of the century”. It was in 2005, when the Kremlin’s siloviki revitalized their support for pro-Russian separatists in Crimea and Eastern Ukraine. That year, the organization “Donetsk Republic” – a Russian proxy in the ongoing war in Eastern Ukraine – was created. Its leaders went to Russia in 2006 to participate in the summer camp of the Eurasian Youth Union that was established in 2005 with the money from the Presidential Administration of Russia on the initiative of Aleksandr Dugin, major ideologue of the Russia-led Eurasian Empire, and Vladislav Surkov, then deputy head of the Presidential Administration. This summer camp was aimed at further indoctrination of the activists and training for fighting against democratic movements in the neighbouring states. Instructors from security services taught methods of espionage, sabotage and guerrilla tactics. Among the participants of the summer camp was Andrey Purgin, who is now “First Prime Minister” of the “Donetsk People’s Republic”. A political discussion of possible NATO membership for Ukraine and Georgia in 2008 prompted Putin to lift the veil on Russian plans concerning Ukraine. It was at the Bucharest NATO meeting when Putin told then President George Bush: “You don’t understand, George, that Ukraine is not even a state. What is Ukraine? Part of its territories is Eastern Europe, but the greater part is a gift from us”. In his official speech at the same meeting, Putin even suggested that rapprochement with the West might result in Ukraine’s loss of statehood. 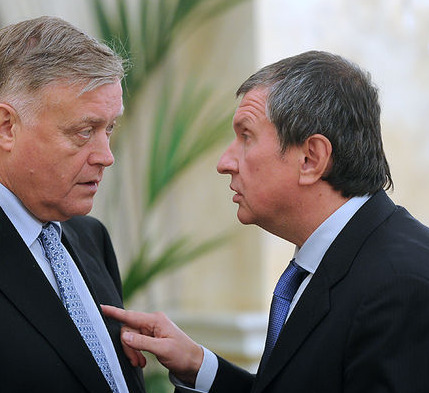 For the Kremlin, the ideal “solution of the Ukrainian question” (Plan A) was to integrate Ukraine into the Customs Union of Belarus, Kazakhstan and Russia that would be transformed into the Eurasian Union in 2015, and, consequently, prevent the country from signing an Association Agreement with the EU. If Ukraine did not cooperate in this regard, then the Russian invasion of Ukraine would be Plan B. In September 2013, when the Ukrainian authorities still discussed the prospects of signing the Association Agreement with the EU, Putin’s aide Sergey Glazyev explicitly stated that if Ukraine signed the Agreement, Russia could no longer guarantee Ukraine’s status as a state and could intervene “if pro-Russian regions of the country appealed directly to Moscow”. The Ukrainian revolution that set the country on the pro-European course was a signal for Moscow to launch that Plan B. The Kremlin and its propaganda machine depict the annexation of Crimea as an act of defending ethnic Russians, and the current conflict in Eastern Ukraine – as a Ukrainian civil war. This narrative cannot be any further from the truth. What has been going on in Ukraine since February 2014 is an operation that Russia developed several years ago for the event of Ukraine willing to become a part of the family of European free, democratic nations. Concise, Clear, and Accurate account in International English. A must read for all. Stalin, Hitler and now Putin ... different periods but same mentality! It is definitely a good point that the "Ukraine crisis" is a fight between external powers wanting to have Ukraine in its own sphere of influence. In my opinion Ukrainians sadly don't have a say in the matter. Ukrainians have already voiced their own decision: to join the family of European democratic societies. The right of Ukrainians to decide their own future must be respected. This is a pathetic conspiracy theory unworthy of any serious attention. Anyway, talking about the US, when the central issue is the choice that Ukrainians have made and for which they died, is extremely racist.